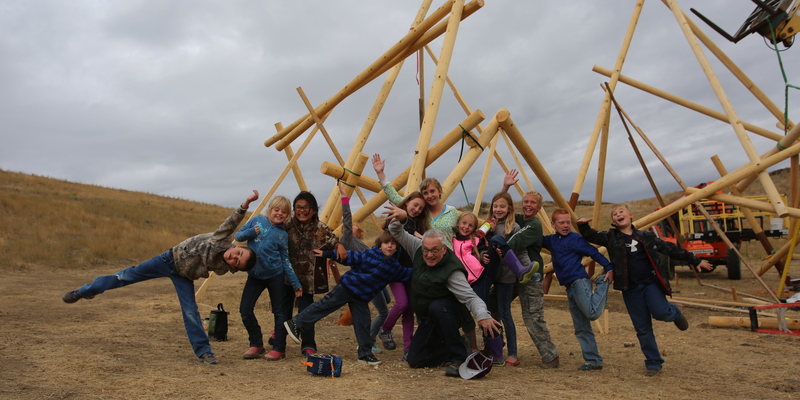 On an overcast afternoon in early October 2015, a dozen students from rural Montana, ages six through 12, scrambled out of vans at Tippet Rise for a workshop with internationally celebrated structure artist Stephen Talasnik. His installation, Pioneer, was under construction in the rolling hills of the Stillwater River valley between Absarokee and Fishtail. 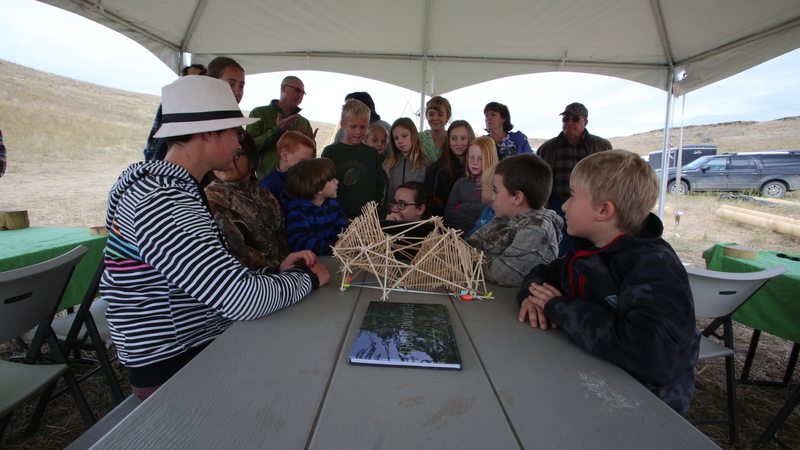 As part of Tippet Rise’s commitment to education in the community, groups of students have the unprecedented opportunity to engage with artists and create unique learning experiences. “Where are the walls?” shouted an exuberant six-year-old from Fishtail as he pointed to dozens of 30-foot cedar poles planted into the ground at precarious angles. “There aren’t any walls,” whispered a classmate, “that’s the sculpture.” Thus began a comprehensive lesson in art and architecture, that combined math, history, science, engineering and the importance of using your imagination. Talasnik told the students about his fascination with the early years of the space program which inspired him to build a series of sculptures entitled Satellite. Pioneer is the first opus of the series - named for the 1960s Pioneer space-probe project. Visualizing and creating a large installation piece can be complicated, and for Pioneer to become a reality Talasnik told the students he needed help from some experts. 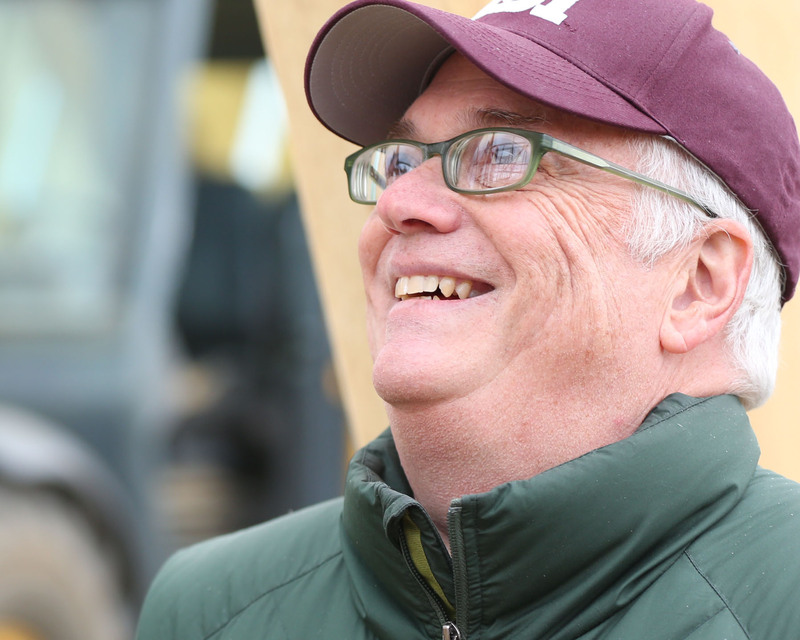 He introduced them to several specialists who were assisting him in the installation – a structural engineer, a fabricator, a timber framer and a construction crew. A nine-year-old girl asked Talasnik why he became an artist. “When I was your age there were three things I loved to do,” Talasnik replied, “build, draw and be curious.” He said that if you love those three things you should find a quiet place in your house and begin to build. He added that creating art does not have to be complicated and cited Popsicle sticks and Elmer’s Glue as excellent building materials. Tippet Rise continues to offer these experiences to the region’s young people to help inspire appreciation for art, music, and nature for generations to come.